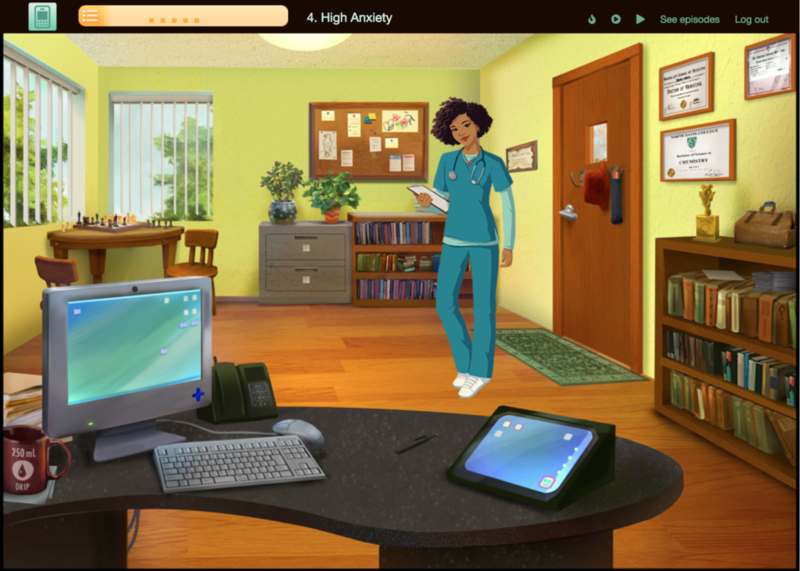 Description: Vital Signs brings reading to life in a new way as it puts students in the role of the medical director of an community-based family clinic in Port Douglas — the city introduced in the first two Read to Lead games, After the Storm and Community in Crisis. This context provides ample opportunities for students to engage with text, as they read their way through conversations with colleagues and patients, review medical texts, resources, and other documents that they encounter as a part of their workday, and compose and edit emails and reports. All of these encounters with text both move the game’s story forward and help the player make vital decisions in their professional role. Goal or Challenge: The goal of Vital Signs is to improve literacy skills among our students, primarily reading and secondarily writing, as well as to improve leadership skills such as flexibility and adaptability. Primary Audience: We target students in grades 5 through 9 at US schools, summer schools, and after school programs. Assessment Approach: Regarding literacy, we embed assessments into the game that align to the Common Core State Standards described in question 16 above. For example, one assessment takes the form of a staff memo to edit in terms of vocabulary choices and media placement. The assessment automatically is scored, the score then is displayed to students immediately, and students are given the opportunity to revise their answers. Furthermore, educators see scores, answer choices, and other data from the embedded assessments in their own dashboard, so that they too can intervene with students and offer feedback.